Floral dress + leather jacket. I'm crazy about this floral shirt dress, I think is the perfect piece to wear during the whole season. Today I decided to pair it with my black Schutz lace up booties. Thanks for stopping by! Hope you like it! This is what I wore two weeks ago when I went to see the new Ferragamo SS2014 collection. I need to say I really like it!! If you follow me on Instagram (here) you already saw the pics and videos that I took that day. With spring finally here all I want to do is wear pastel colors, floral prints and cropped tops. I'm glad you are finally here, because honestly who doesn't love spring? Flowers bloom in trees and bushes, accompanied by a light breeze with the aroma of nature and delicious sunny days. Lately I’ve been obsessed with Schutz heels, specially with "Lace up booties". Today is the first day of spring and also is Friday!! Is there more happiness than this? I chose a cute pastel dress to celebrate the first day of spring, hope you like it! :) Enjoy your weekend! This is the last shooting that we took in Playa del Carmen (I promise haha). Spring is just around the corner and I wanted to add vivid colors to my look with this beautiful romper that I bought in Windsor. Floral are definitely one of my favorite prints for Spring! I think the floral crown is the perfect touch :) What do you think about it? PS: The last photo are "Voladores de Papantla"(Dance of the Flyers)!! They are doing an ancient Mexican/Mesoamerican ceremony... Amazing ha? 5th AV "Playa del Carmen"
5th Av. This is the most important shopping avenue in Playa del Carmen, the avenue is perfect to buy some souveirs or maybe to eat something at a beautiful restaurant. Also, there are a lot of local boutiques to meet. I chose a Stradivarius total look for lunch seafood in a beautiful place and later was the perfect outfit for walk around the avenue. Right now we are in Mexico city but I already miss the beach mood!! I show you two different swimwears for your next vacation. Both are great options for spend your day at the beach or maybe at the pool. The bikini is from Baroke and the black swimsuit is from Choies. I have no doubt that this place is a paradise. It has been many years ago since I was here for first time and now I´m pretty sure why everybody loves this place. It´s beautiful!! My dear Mexico is amazing! "Just another day in paradise where every hour is happy"
This is the Stradivarius total look that I wore for lunch in a beautiful restaurant called "Margarita" near Tulum, it´s an amazing place in the middle of the Paradise. We went to see movie on the beach and then we attended to a cocktail organized by "Riviera Maya Film Festival". I´m wearing a simple look for my first morning here. Yesterday Guillermo and I arrived to "Playa del Carmen" invited by Stradivarius. We are going to attend to "Riviera Maya Film Festival" (is one of the most important film festivals here in Mexico) Today at night we wiil go to the amazing place called Tulum for a special party organized by them. So excited! 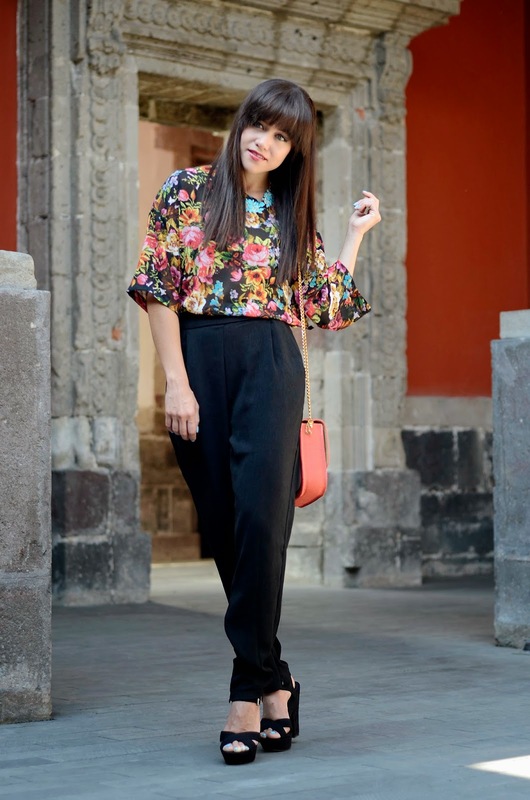 For today's post I wear a colorful outfit. I´m so tired of winter dark colors, I´m in the mood for spring haha :) If you see me very happy is because right now I´m on my way to "Playa del Carmen" (Cancun). 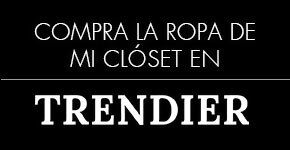 I´m really excited about this new adventure with Stradivarius. I wore black dress with a pink blazer, white color on the accessories and my favorite pair of heels at the moment.It’s all about the details!! I´ve been wearing big chunky necklaces from a time, that´s something that can´t be missing in my outfits. A necklace can totally transform your look from day to night, from casual to a more dress up look; So why not update your looks with a simple fun necklace? So easy! 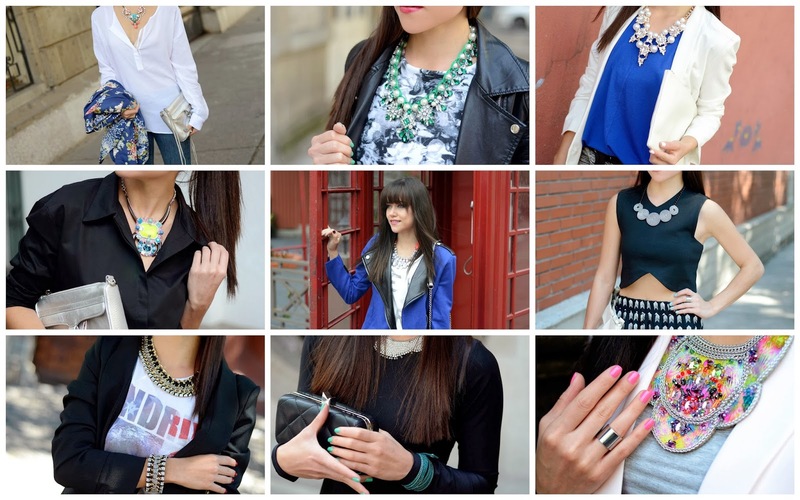 What´s your piece to make a statement on your look? Saturday is my favorite day of the week. 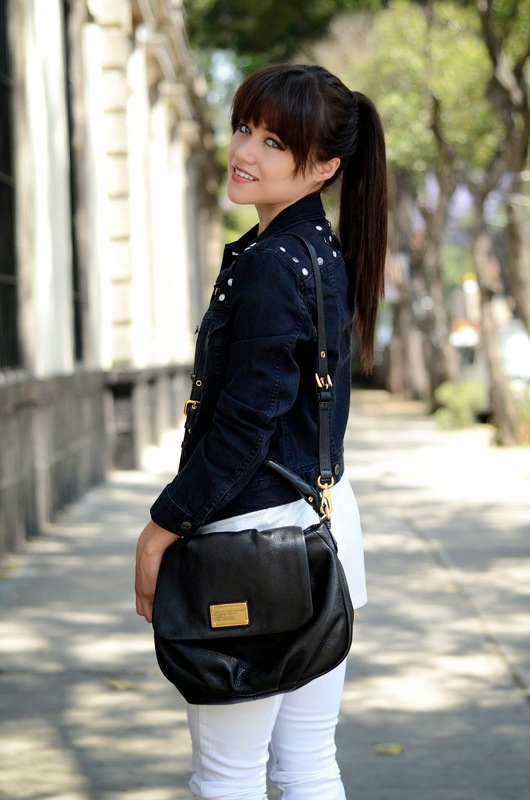 I don´t have to do anything, on Saturdays I usually go to shopping or sometimes go to lunch with my family. I wore this look last weekend for a family meeting, I paired my favorite denim jeans with a white shirt , heels and a cute blazer. VIDEO! 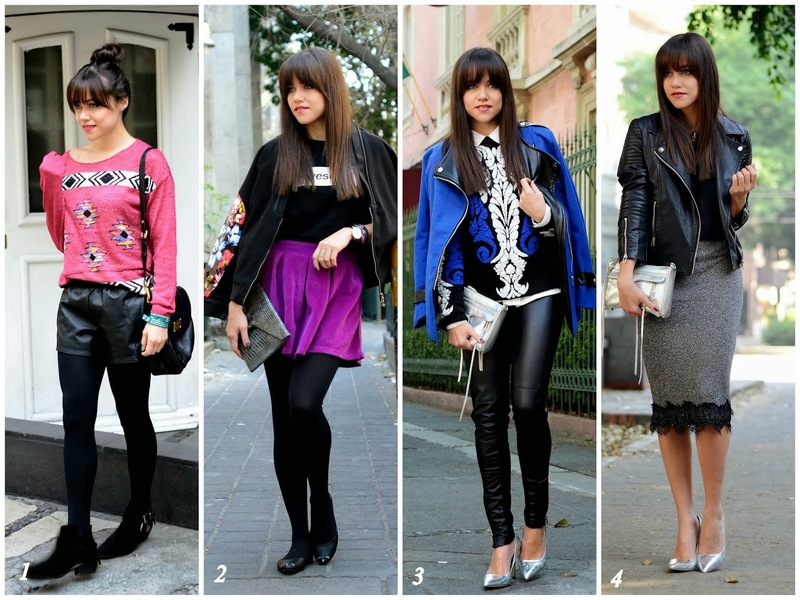 3 Looks con LBD. Hope you like my look! Have an amazing Friday! Leather jacket is always a good idea. Leather jacket is always a good idea, they are atemporal and combine with jeans, skirts or maybe with a feminine floral dress like this one. Do you have any favorite leather jacket? Winter outwear may still be hanging in my closet but already I am more than willing to replace it with spring denim jackets like this one. Right know the days in Mexico city are very hot in the morning and then in the night turn rainy. I wore this look last Saturday when I went shopping some new things at the mall. This look was very simple and comfy but perfect for the occasion. Hope you like my outfit ! If you follow me on Instagram, you already know that I wore this look some weeks ago when I went to Cartier´s cocktail. Have a great start of the week and let me know what do you think about this outfit! Today's outfit! Wearing my number t-shirt. I really like how the t-shirt turned out combined with a leather baggy pants. Just a simple outfit for a simple day. What do you think about it? Outfits of the month: February! March! can’t believe it! We’re getting very close to spring now!! Please tell me, which one is your favorite look? Sorteo! 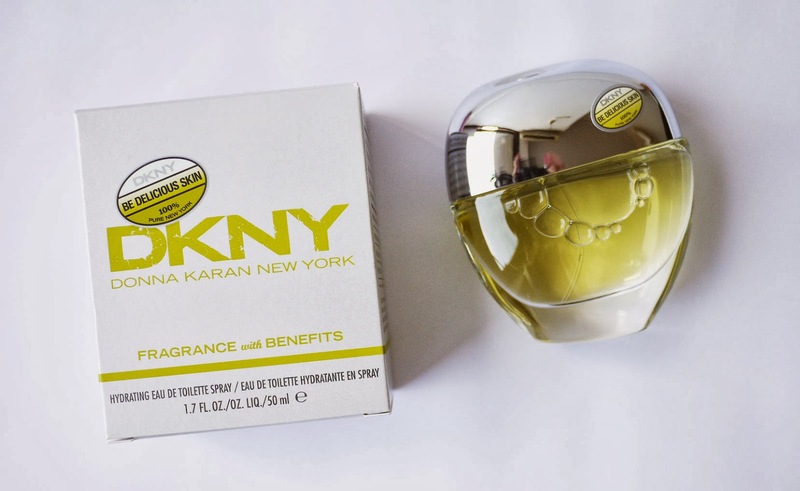 DKNY "Be Delicious Skin"
Tal y como les prometí por Instagram ayer, hoy tengo para ustedes tres perfumes de 100 ml de DKNY (Donna Karan New York) "Be delicious skin" para regalar. También porfavor, déjame en forma de comentario en este post tu nombre completo con tu mail para que en caso de que seas ganador(ora) yo te pueda contactar. El sorteo inicia hoy y termina el Jueves 6 de Marzo a las 11:59 pm. El Viernes 7 anunciaré al ganador en mis redes sociales. *Los gastos de envío corren por mi cuenta. *El sorteo es válido en toda la república Mexicana. Mil besos, disfruten su Sábado.